The Men’s Ministry continues to be a Christ centered ministry committed to the spiritual growth of men and encouraged by the support and encouragement of the Pastor. We start our activity each with an annual Fish Dinner usually in January. The Annual Valentine Dinner was held after service on given Sunday in February or March, to celebrate the Men’s choice of the sweetheart of the year (usually a single mother). Often as possible bicycle Rides and walking are scheduled. 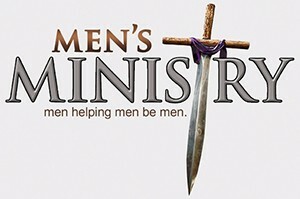 A recent ministry has been put in place, the Brotherhood Mentoring Program. The Men donate Christmas basket to a needy family. They also provide funding assistance for youth that want to attend the National Youth Convention each year and a couple to the Annual Couples Retreat. There is an Annual Men’s Day that hosts a guest speaker and often a musical. The Man of the Year is also honored. We are blessed to have a Men’s Chorus that minister on the fifth Sundays and Mother Day. Outdoor activities are scheduled, but never excluding our need to support the ministry in prayer and words of encouragement early every Monday morning, concluding with breakfast. But, the power and strength of our men is fortified with corporate prayer sessions each Monday Morning, along with breakfast.